In 2017, Unicef UK commissioned research to understand how far refugee and asylum-seeking children are currently accessing their right to education in the UK. For children on the move who come to the UK, education is one of the first and most critical services they need access to. This report, produced by Refugee Support Network, provides an up-to-date overview of the scale and impact of the difficulties facing child refugees and asylum-seekers in the UK. It highlights the barriers they face in accessing, remaining and thriving in education, and proposes recommendations for national and local decision-makers and service-providers. 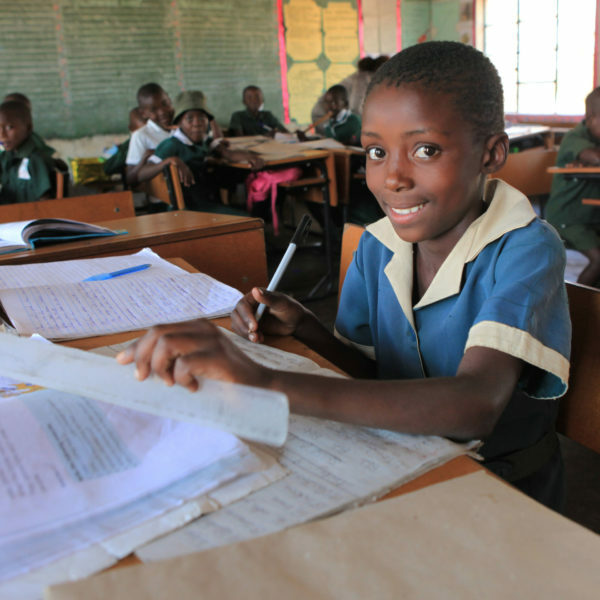 The above report confirms that the right to education is fully recognized in the UK’s legal and policy frameworks. Overall the standards are high and in the global context, the UK is demonstrating good practice. Nevertheless, the research shows that the right to education, although enshrined in law and policy, is still not implemented consistently across the UK and targets are not being fully met. UNICEF UK acknowledges that the UK authorities at central and local level recognise these problems and have been seeking to address them. To ensure every child’s right to education is upheld, we urge the relevant authorities, including national and local governments, schools and voluntary sector partners, to undertake additional measures. In the documents available below, we have proposed country-specific recommendations for relevant decision-makers and providers. Despite the gaps in provision that need addressing, we are very encouraged to see from the research that in each local authority area, education is prioritised from the outset and has been integrated into pathway planning. The majority of the stakeholders interviewed stated that schools were often very positive about how the presence of refugee and asylum-seeking children had enriched the life of the school community and the learning environment. Our research highlighted many examples of good practice within schools, for which selected case studies can be downloaded below. These examples of good practice are commended and should be adopted more systemically to address some of the barriers highlighted in the report.